Have you ever been to a party that you had to pay to enter, then upon ordering at the bar you find out that you have to pay? Well, with an “Open Bar” ticket package from South Beach Live Group this will never happen. “Open Bar” means that your drinks are included in the cost of your admission to the party. You can order your favorite drink and bask in the awesome taste and the relief that you are not to be burdened with a bill! 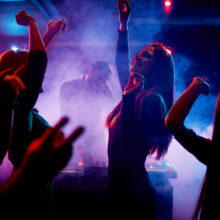 Our Package offer “Open Bar” services so its 2 hours pre-party with an unlimited open bar (except beer,wine and premium liquor ), and great music. You will feel great, knowing that you will not be forced to contend with high bar prices.